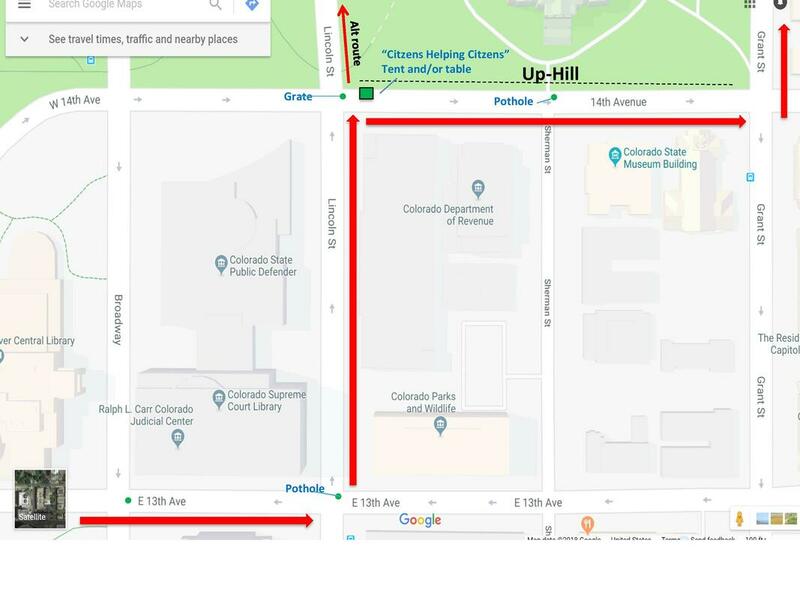 Accessibility - Women's March Denver 2019. Listen. Unite. Act. The Womxn’s March is more than just a day, it’s a global movement, a lifetime commitment, and a personal journey. 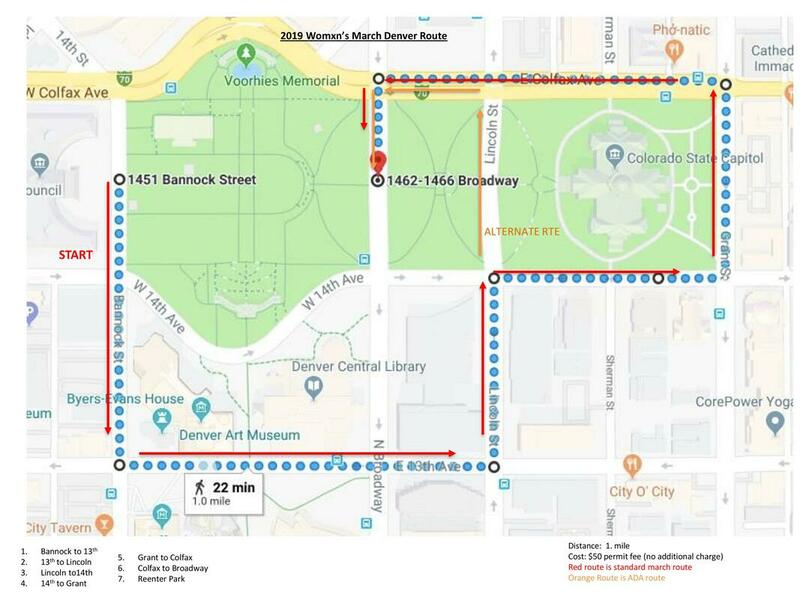 The Womxn’s March on Denver is excited to make this year's march and rally as accessible for all as possible. Please see the provided maps for information on ADA and deaf and hard-of-hearing reserved seating. 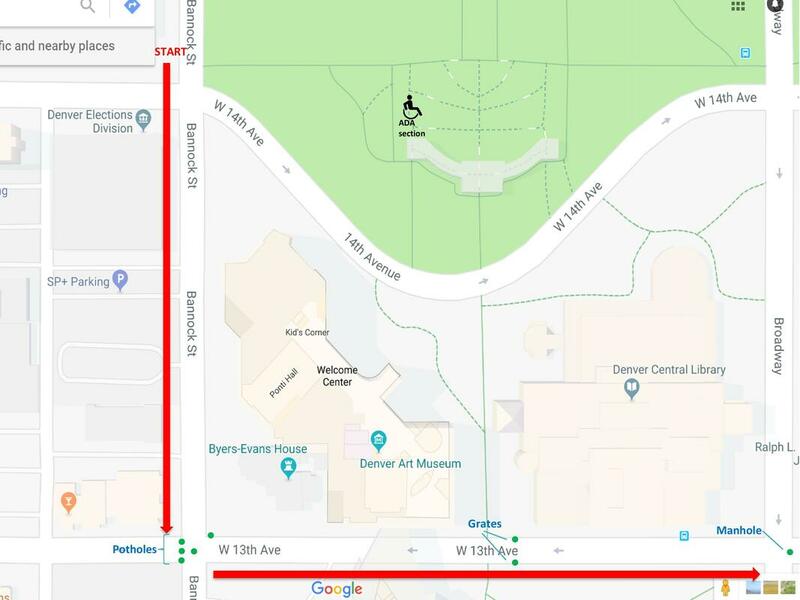 Please note that access to the ADA reserved seating is via the sidewalk that enters the Civic Center Park from the north west corner of 14th and Bannock and is noted on the park map. All ADA accessible ramps and access points as well as stairs are denoted on the map above. Below are detailed maps of the route that identify potential hazards along the route. Peacekeepers and volunteers are positioned along the route to call attention to these areas. 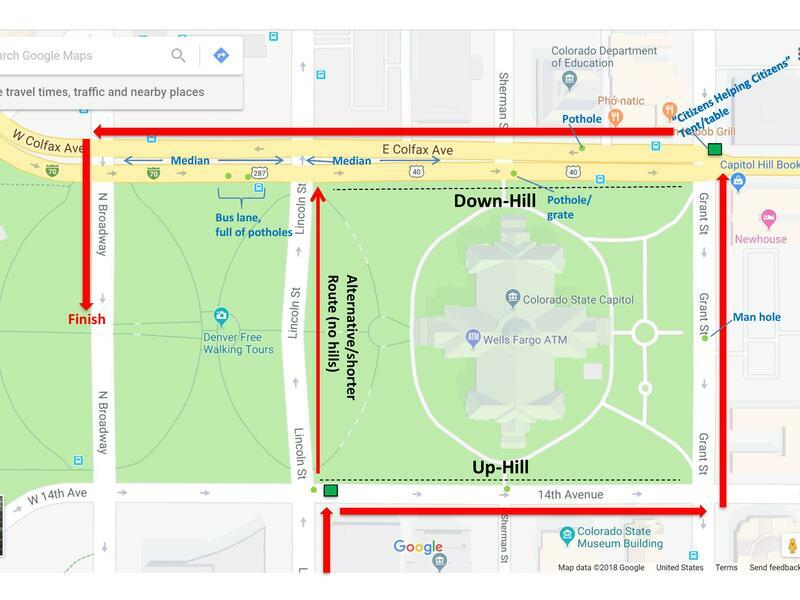 We will also have sign language interpreters at the stage for this year’s March Pre and Post Rally sponsored by FLOW Interpreting, there is a seating section for those that are Deaf and Hard of Hearing.